We are pleased to announce that Pamela Murray has rejoined our team of research lawyers. After obtaining her law degree from UBC in 2004, Pam served as a law clerk for the British Columbia Court of Appeal. She then articled and practised with Borden Ladner Gervais in Vancouver. 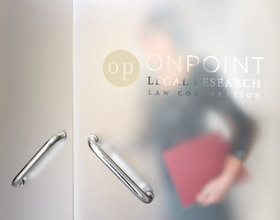 Pam originally worked for OnPoint in 2006 and then left to practise administrative law and general civil litigation. We are thrilled to welcome her back to OnPoint. Pam has a wealth of experience researching complex legal issues and preparing submissions for both trial and appellate courts.